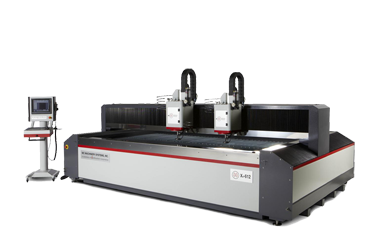 Our Mitsubishi MWX4 helps us provide the most accurate and efficient material cutting services to our customers. In today’s manufacturing environment of high-priced raw material and limited resources, our waterjet’s small kerf (cut width) and part-on-part nesting capabilities optimizes material use, increasing cost-effectiveness. Please inquire with us and find out how we can help you with all your material cutting and fabricating needs. Our forming equipment consists of a CNC-controlled 288-ton hydraulic press brake. We are capable of producing a wide variety of shapes including complex designs and transitional shapes from a wide variety of materials and thicknesses. We can produce components such as channels, angles, bump formed sections, cylinders, and cones. When it comes to precision we have it covered. We regularly work with a large range of materials and complex projects. 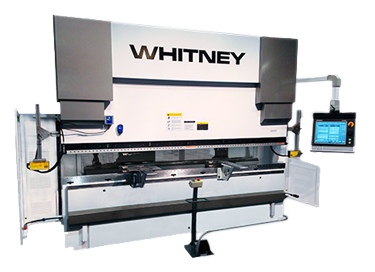 Our state of the art CNC press brake can form parts up to 13 feet long and up to ½” thick and more depending on the material. We can provide fast turnaround times when required and we take every job seriously. We strive for perfection on each and every project. In our machine shop we have the latest CNC Milling tachnology. The HAAS VF4SS is estremely accurate, fast, and efficiant. Our CNC staff has 30 years of experience. Between our staff and equipment we are able to product parts that will meet any of our customers needs in a timely bases. 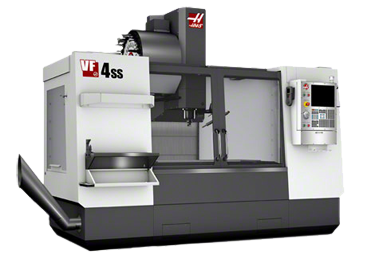 We have a new HAAS VF4SS Vertical Machining Center Table travel; 50" x 20" x 25", 30 hp vector drive, 12000 rpm. Wireless Probing provides reduced product cycle times and directly contributes to extremely accurate parts. Offline CAM programming adds to overall capability and also speeds up programming cycles saving even more cost. 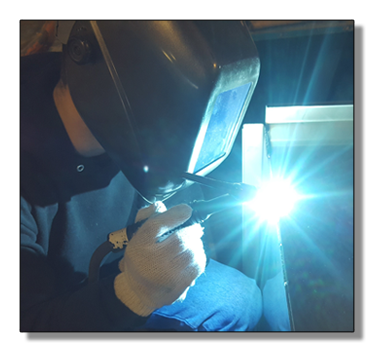 Our welders and fabricators are qualified and experienced in TIG, Purge, MIG, and Stick welding. We specialize in stainless and aluminum material and also work with black iron.